Important information about ballet class for beginners – especially if you are an absolute beginner. Have you always been wanting to attend a ballet class but you are feeling really nervous? Fret not! Here is all you need to know about what to expect, how to prepare for it and most importantly, picking the right beginner ballet class for you. Ballet Beginner class or a Basics class? 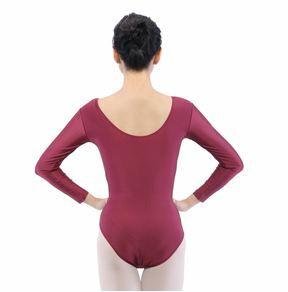 What to Wear to Your First Ballet ClassI’m always surprised to see a total ballet newbie (not quite the same as a ballet beginner) in my classes, whether I choose to dance in Beginner or Intermediate level. You can spot an absolute ballet beginner right away. Many times they are without ballet shoes and wearing socks. Sometimes they wear jeans, or shorts with a T-shirt or a tank top. Their worst tell-tale sign is letting their hair down. I don’t think they realize how hair gets in the way when doing little jumps or a forward bend! to the rest of us, paid, dedicated students. I also feel sorry for the ballet teacher because these absolute beginners slow their class down. Some take pity on these clueless people and try to teach them basic ballet positions of their arms and feet quickly. Worst of all, many of these absolute ballet beginners get so intimidated and discouraged, that they don’t come back! That’s quite sad. That’s why I think there’s a real disconnect in the meaning of ‘Ballet Class for Beginners’. Maybe some of you can identify with what I mean? First of all, whenever you are searching for an adult ballet school, keep in mind that in most places, a beginner ballet class is not quite ‘beginner’ as most people understand it. You are expected to have already attended ballet class before, know basic positions and have done barre and center work. If you don’t understand what barre and center work for ballet means, it means that beginner ballet class is not for you. Instead look out for ‘Basics’, ‘Introductory’ or ‘Foundation’ ballet classes. As one website puts it, these classes are predominantly designed for inspired adults with absolutely no prior training, and wish to have trials or regular classes on ballet techniques. The terms Basics Ballet Class, Introductory Ballet Class or Ballet Foundation Class may be called differently depending on the school. In Singapore, Singapore Dance Theatre has an adult ballet class for absolute beginners called Basics. If all else fails…which means there are none of these classes at the adult ballet school near you, then what you could do is watch some introductory ballet videos and read these introductory ballet articles, before joining an adult ballet class for beginners! It is also good ballet etiquette to call the school beforehand and let the ballet teacher know of your situation. These classes are usually non-syllabus based but progressive. You’ll be introduced to the 5 basic ballet positions of arms and feet. You’ll learn proper body alignment. Simple but strong emphasis on ballet foundation such as floor-barre work, basic barre work and center practice. Exercise include plies, tendus, jetes, rond de jambe at terre and en’lair, fondus, releves and grand battements. These simple and straightforward combinations will foster body coordination, which is essential to dance. You’ll be dancing all these combinations once the movements become more natural. Hair tied neatly into a bun – with hair away from face, and loose baby hair hair-sprayed down. Ballet skirt (optional) – some teachers don’t like or allow them. Hair tied into a bun or a pony tail if your hair is not that long. can go shopping for pretty ballet outfits!! If you think you’ll be willing to try ballet out for at least one term or at least 5-10 classes, you could buy a pair. After all, you can get a non-designer one to start with, they can cost about the price of two movie tickets or less. Check out our ballet store and our second hand section! (coming soon). Regardless how awkward your first ballet class may be, remember that you have achieved something! I’ve always said about how I applaud and respect these absolute ballet beginners, because they had the courage to take class! They are better than those who always talk about wanting to do it, or wishing and never really doing anything about it. Hey, we were all once absolute beginners too. Know anybody interested in starting ballet class? Do them a favor and forward them this page!